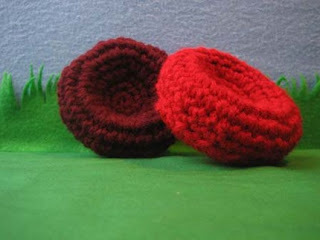 If you're into handcrafted blood cells, here's something. Choose oxygenated (bright red) or deoxygenated (dark red). Is anyone still with me? Says the seller: "Great gift for that biologist or hematologist in your life."